Eat Your Heart Out, Hummer! 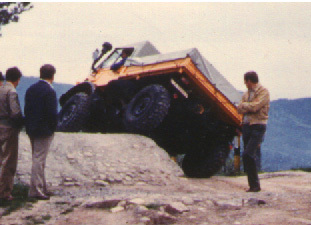 Here you will see what the world's most versatile 4x4 truck can do, thanks to an extremely flexible frame, low center of gravity, coil springs with extended reach, locking differentials and crawler gearing. 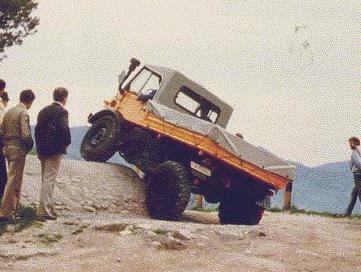 The UNIMOG has unparalleled ground clearance and vertical wheel travel.